In many applications fluids passing through a pipe require filtering this results in the need for continuous differential pressure monitoring. 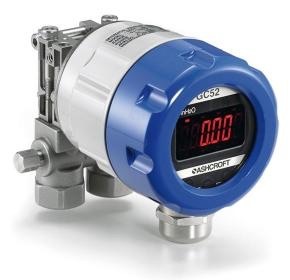 Differential pressure gauges, switches and transmitters help monitor your processes. captured particles. With the filter no longer functioning properly, the contaminants can escape into the process. This is why proper monitoring of pressure drop is crucial. Differential pressure is measured by placing taps both before and after the filter. A differential pressure measuring instrument can be connected to detect the high side and low-side pressures. The instrument will report the difference between the two sides. The saturation point will be indicated when the Delta P value reaches a predetermined threshold. This value was derived from a calculation that factors in the flow rate fluid viscosity and filter characteristics. The filter manufacturer can be contacted for help in identifying the optimum differential pressure value that tells you when it'stime to service the filter. 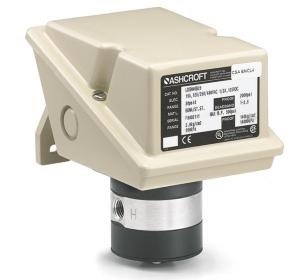 When specifying a differential pressure instrument there are two important factors to consider. The first is the DP range, which is based upon the most difference in pressure that the restriction is likely to produce. 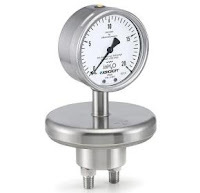 The second is the instruments ability to contain the static pressure, which is simply the pressure in the line while the differential pressure remains the same. A higher line pressure may require an instrument rated for higher static pressure.